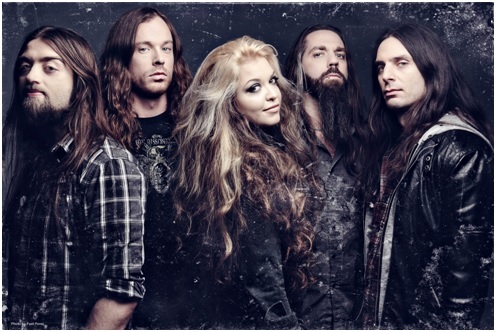 The Agonist, former front-woman Alissa White-Gluz departed to join Arch Enemy last year and was replaced with new vocalist Vicky Psarakis. On the web I read mixed feelings about this though with the latest video I have to say the change has been a pleasant one. Both women are great and change happens and with it I think the band is showing great range with the newest video release. “A Gentle Disease”. Metal bands are known for the screams and growls and at times the louder they are the softer they are as well. You see greats like Zakk Wylde tear up the stage but when he does something like “Angel of Mercy” I go silent and just listen pure enjoyment. The Angonists’ lead singer Vicky brings the metal but it was great to see her bring the softer side, plus she shows her vocal talent and range “A Gentle Disease” is a great example of this. Not much was known of her before singing for The Agonist and doing a video like this gives us a full spectrum of who she is – a vocalist not just a metal front woman. As for this video being based as a in-studio video with glimpses of writing it shows the base of music – in the studio and nothing much other than passion, a guitar and a pen. Sometimes simple is the best and in this case very beautiful. 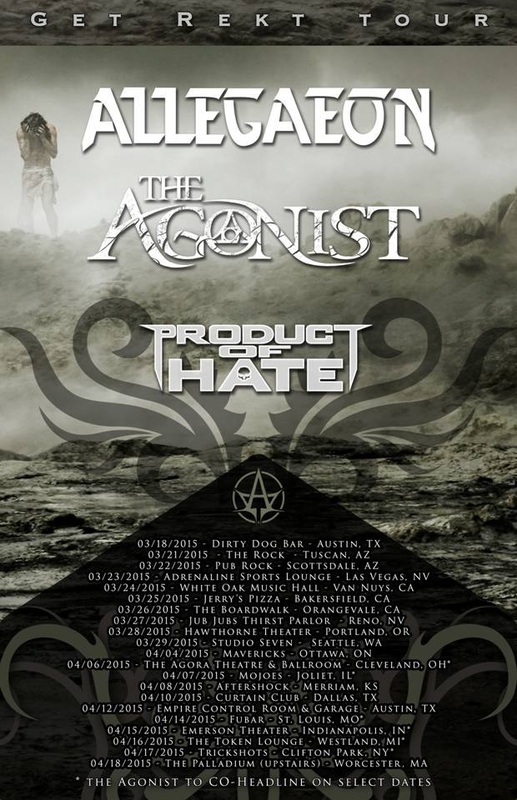 THE AGONIST have just announced they will join the GET REKT TOUR next month in North America with Allegaeon and Product of Hate. Also the forthcoming album, EYE OF PROVIDENCE is due out February 24th.